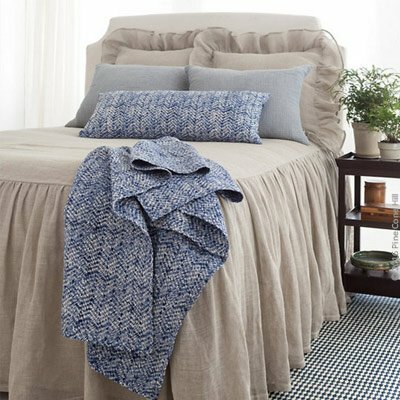 Pine Cone Hill has several bedspreads in either cotton, linen or a combination of the two fabrics. 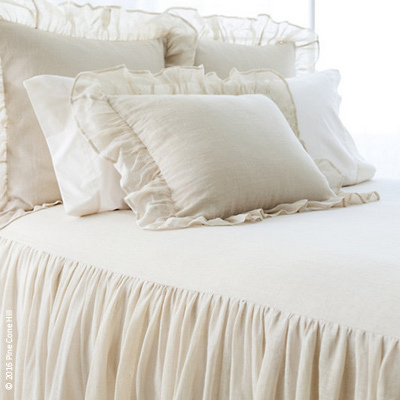 All of which have a gathered bed skirt that drapes to the floor. 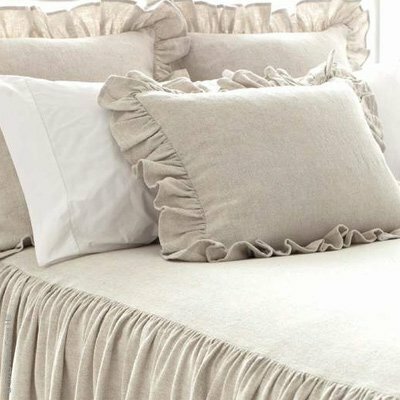 These bedspreads give the room a soft, feminine look and coordinate with matching shams and decorative pillows.